There are so many different gadgets available to us. Just walk into any super store and look in the kitchen section and there will be a huge variety. Even my favorite grocery store has quite the variety of kitchen gadgets. 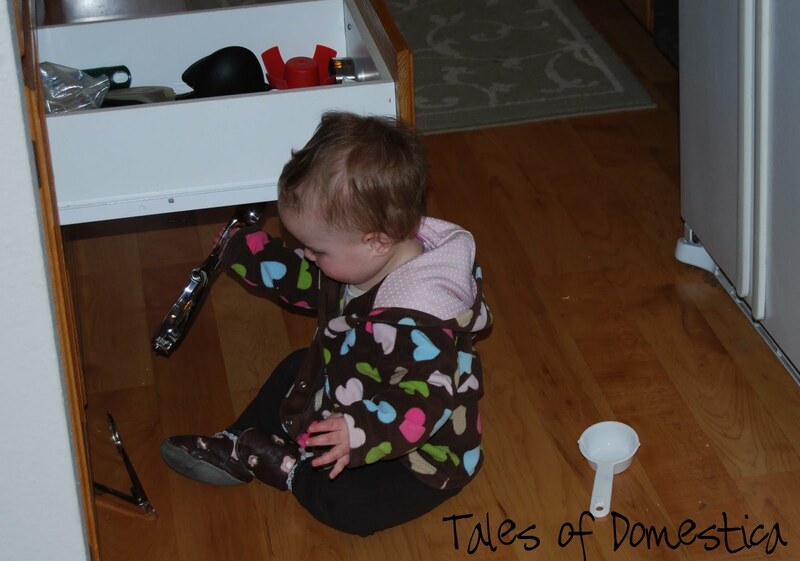 Lil’Miss discovered how to open drawers and cupboards over the past months or so and so she loves to dig through all of the different gadgets. I would say some of her favorite are the metal measuring cups (because they are shiny) egg slicer or metal spatulas. She digs and dumps and stirs and sifts through all the different objects. She finds great joy in emptying these drawers. It got me thinking about all the different gadgets I use and all the ones I don’t use. When I got married I had several gadgets to begin with, but I married a treasure trove. My mother-in-law used to work for a kitchen ware company, so with marriage I inherited almost all every imaginable thing for the kitchen. A wonderful gift for a simple minded girl. 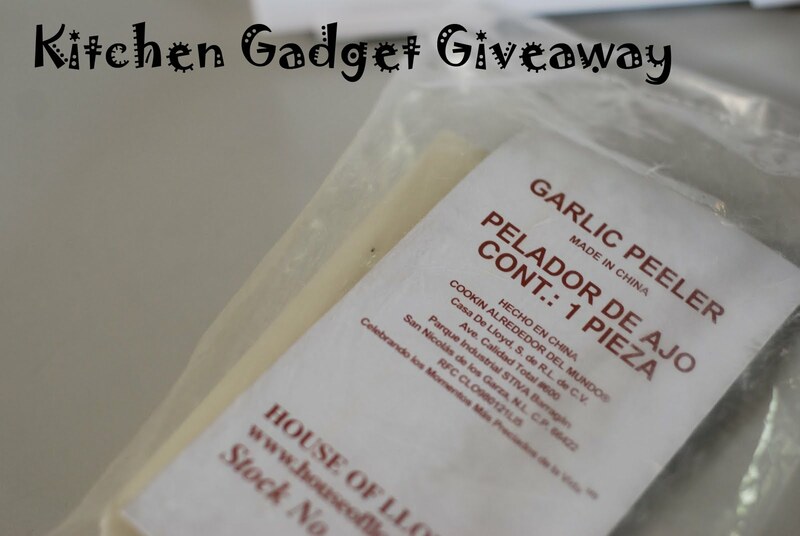 So there are things I don’t often use in my sea of kitchen gadgets, so I am giving a couple away. There will be two lucky winners. Here is the scoop there are seven fantastic ways to enter this giveaway. You may comment up to six times if you do the following. This give away will close Friday May 21 midnight MST. The winners will be chosen by random.org and will be notified Saturday May 22. 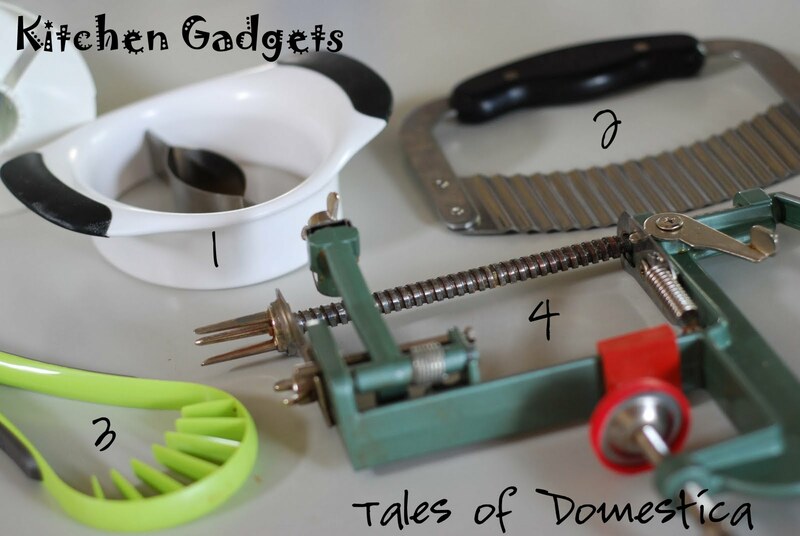 2- Tell me one of your favorite kitchen gadgets that you can’t live with out! 4- Do a blog entry linking you back to this blog to share with your friends about my domestically fun blog. I can't live without my bullet blender and egg timer! I found you through the Blog Events Directory! I LOVE my kitchenaid- use it for everything! 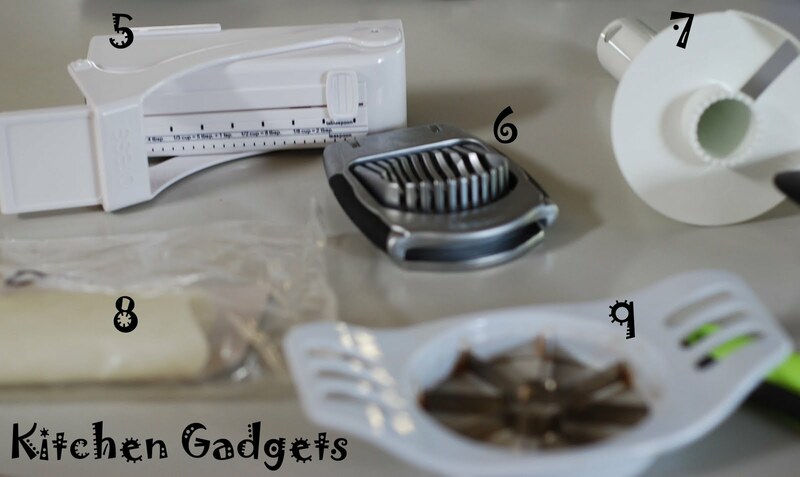 One of my favorite kitchen gadgets is my zester – I use it when I need fine pieces of lemon/orange peel or chocolate. I found your blog going down the list on SITS from today! I found your blog from the Secret is in the Sauce Giveaway Linky. Thanks!! My favorite kitchen gadget is the garlic press! My favorite kitchen gadget is the set of OXO's set of 4 tongs, they are fantastic! I heard about this contest through Contest Listing newsletter! I love my Pampered Chef telescoping-type measuring cup. Makes it possible to get that half cup of packed brown sugar measured and ejected neatly! Oh that butter measurer is VERY fun!!! 🙂 I follow you and my favorite kitchen gadget is my lemon/lime juicer. I use it every day! I also love my tongs… they come in so handy so often! cant live without my measuring cups! I heard about this blog through a friend who loves kitchen stuff! My favorite gadget in the kitchen is The Garlic Twist. I've given lots as gifts even. I can't live without my egg timer, I use it for cooking, for timing the kids on the computer, for reminding me to do things, everything! Does my knife count as a kitchen gadget? 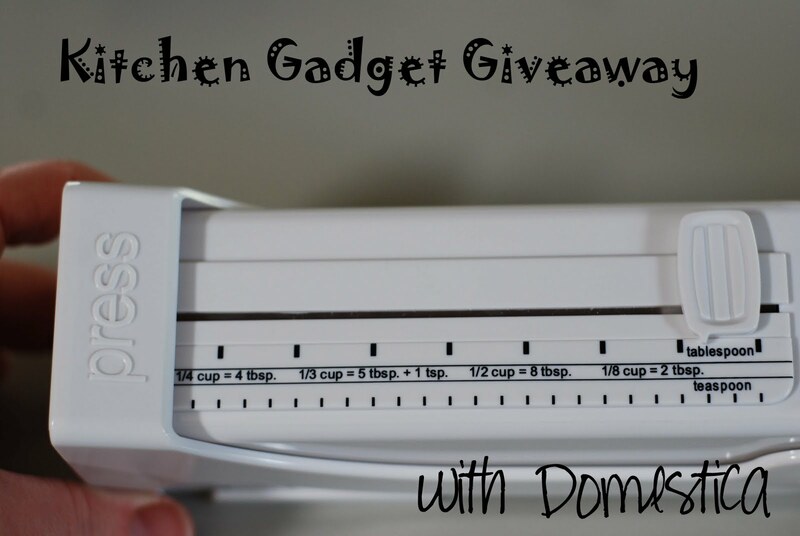 Wow I was so excited to see this great giveaway because I love nothing in the world more than kitchen gadgets! I couldn't do without my citrus zester in the kitchen, I use it every single day. As of today I follow you via rss updates by google reader. I now follow you using google friends connect. I am #49 on your chart. I'm a simple girl so I can't live without my veggie peeler or my citrus zester, nothing too fancy! I couldn't live without my silicone oven mitts! I love love love them! I found out about your blog from Bloggiveaways.com. That's where I found a few of the blogs I follow!